Long Duration Balloon flight from polar regions (Peterzen et al. ESA Symposium 2003 ESA-SP530 – St. Gallen) Workshop ASI sulle Tecnologie ElettroOttiche. 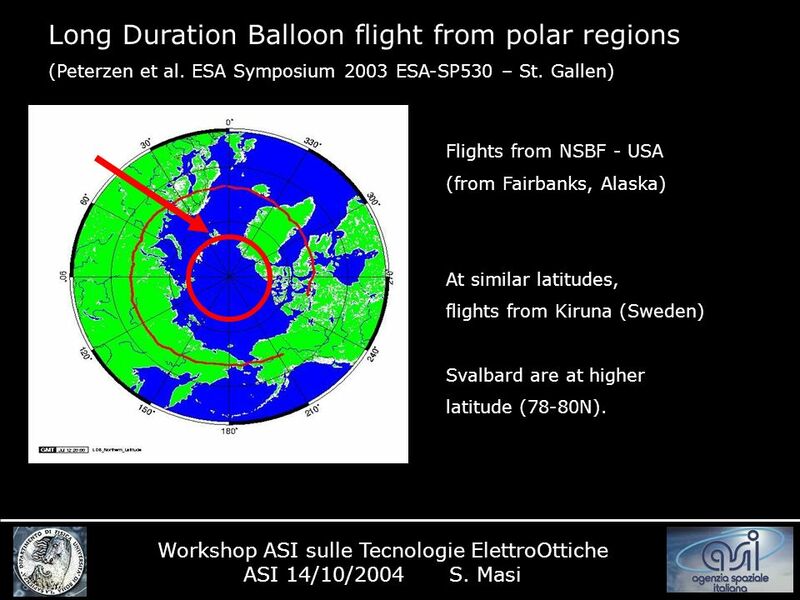 1 Long Duration Balloon flight from polar regions (Peterzen et al. 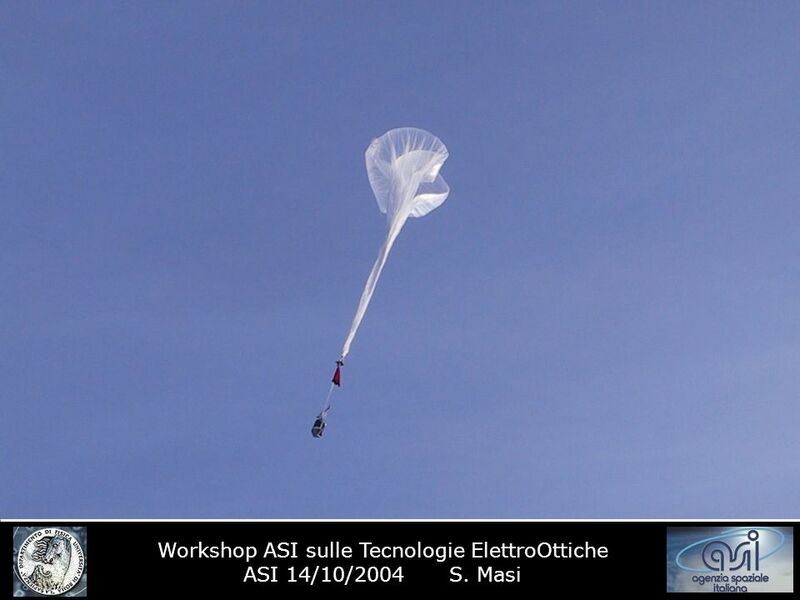 ESA Symposium 2003 ESA-SP530 – St. Gallen) Workshop ASI sulle Tecnologie ElettroOttiche ASI 14/10/2004 S. Masi Flights from NSBF - USA (from Fairbanks, Alaska) At similar latitudes, flights from Kiruna (Sweden) Svalbard have higher latitude. 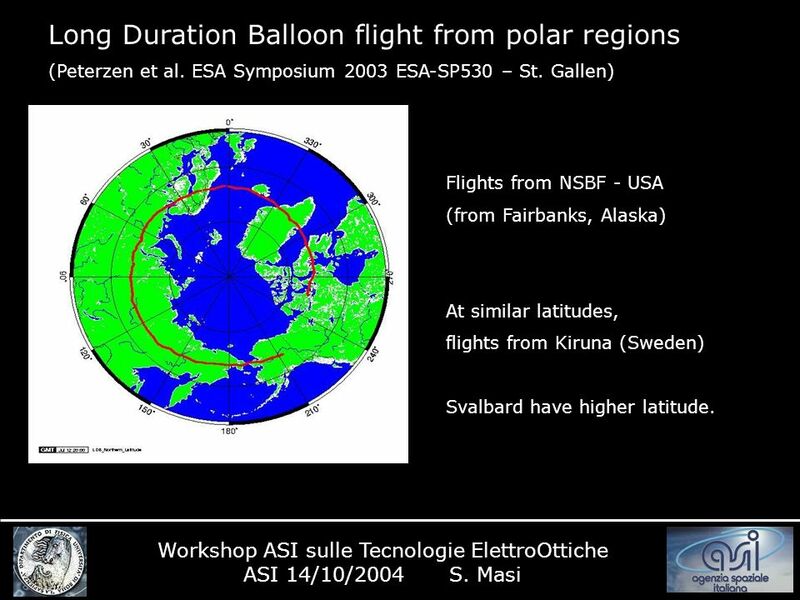 2 Long Duration Balloon flight from polar regions (Peterzen et al. 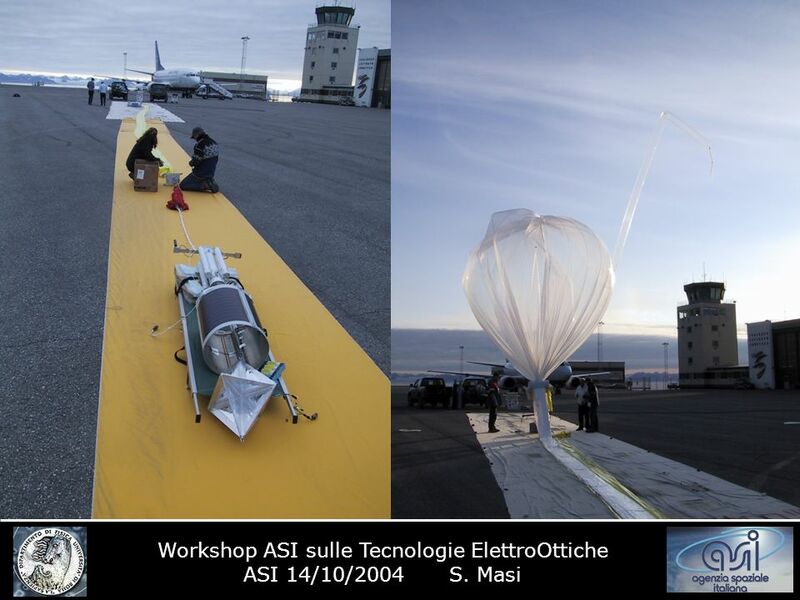 ESA Symposium 2003 ESA-SP530 – St. Gallen) Workshop ASI sulle Tecnologie ElettroOttiche ASI 14/10/2004 S. Masi Flights from NSBF - USA (from Fairbanks, Alaska) At similar latitudes, flights from Kiruna (Sweden) Svalbard are at higher latitude (78-80N). 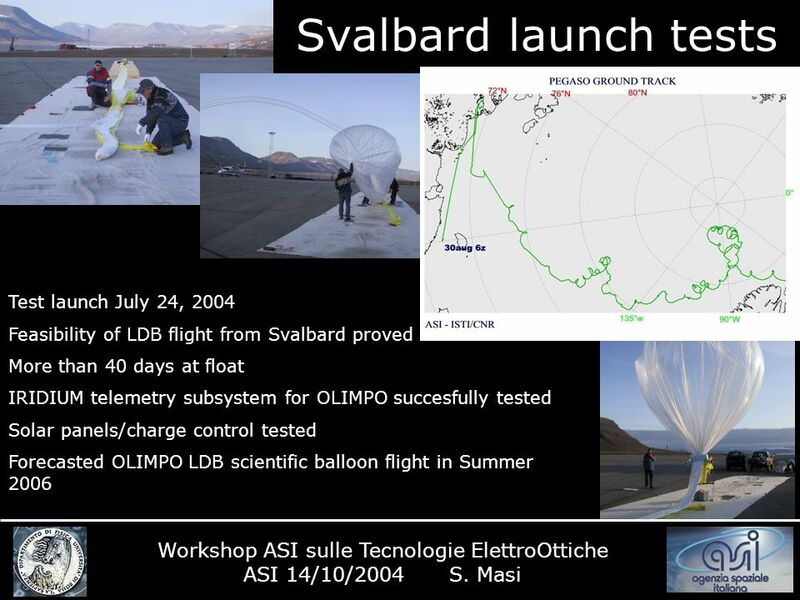 Download ppt "Long Duration Balloon flight from polar regions (Peterzen et al. 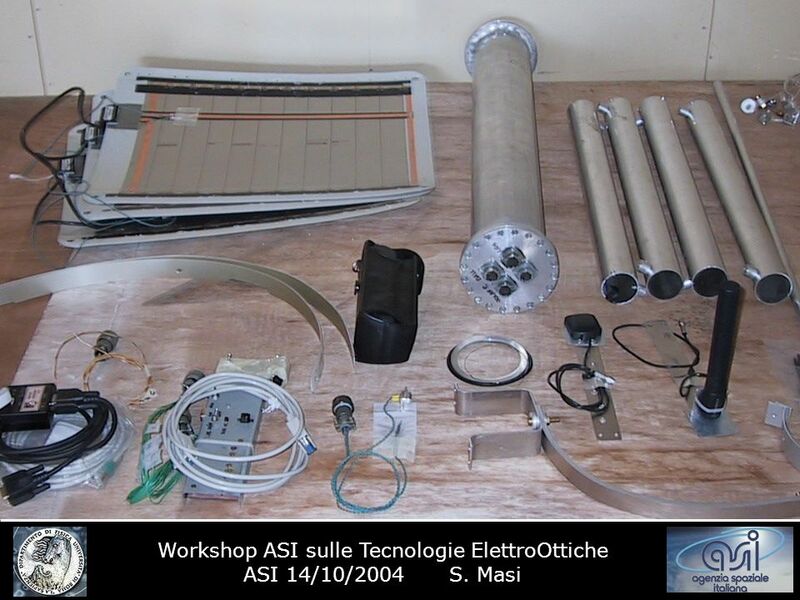 ESA Symposium 2003 ESA-SP530 – St. Gallen) Workshop ASI sulle Tecnologie ElettroOttiche." 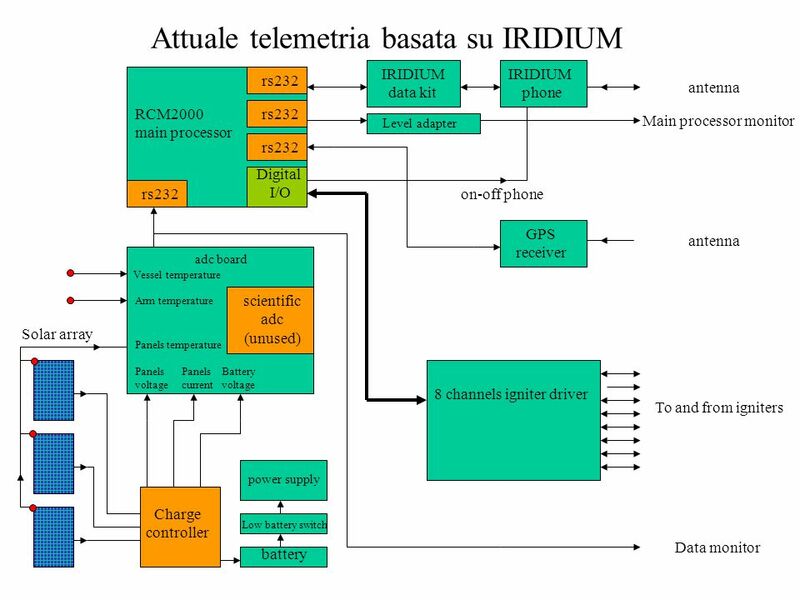 Signaux, Bruits, Problèmes Inverses – INRA - Nice, The VIRGO Environmental Monitoring System R. De Rosa University of Napoli - Federico II and. 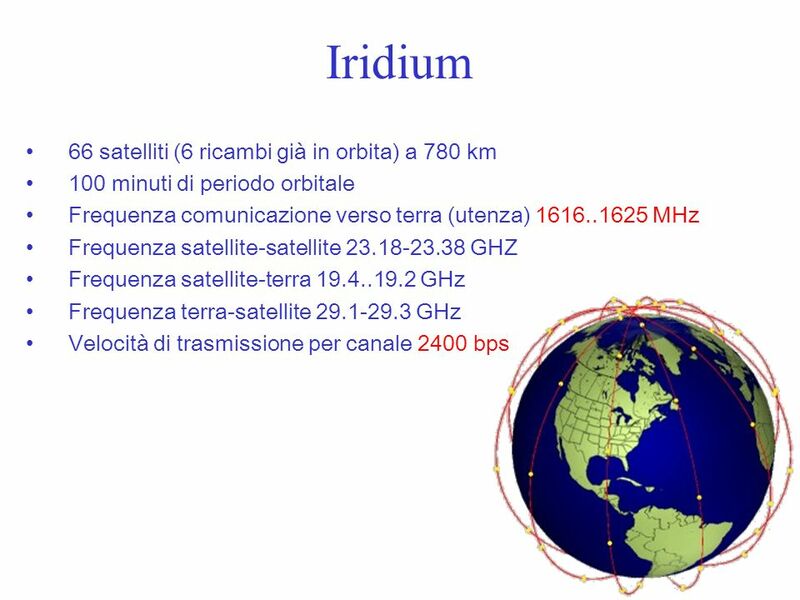 SOT Geneva 2007 Iridium: low power satellite communications for autonomous instruments David Meldrum Scottish Association for Marine Science. 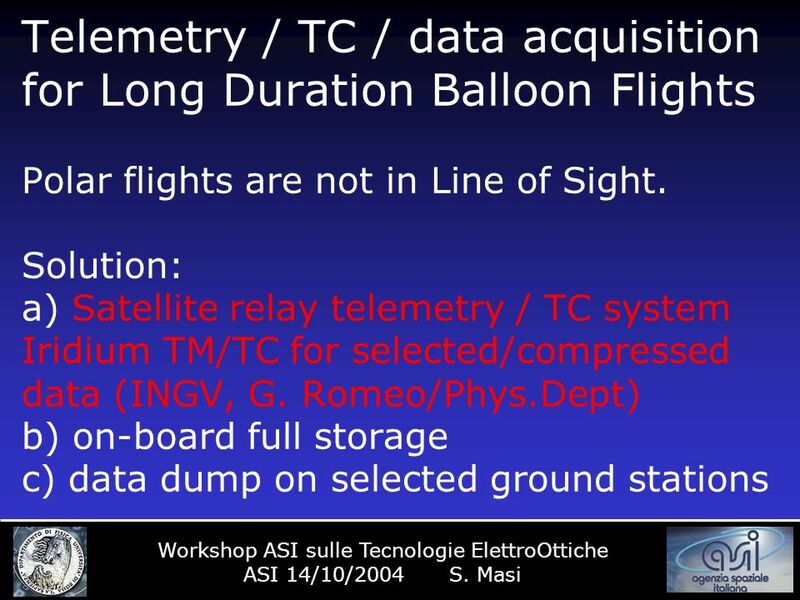 Darrell Ernst Jean-Claude Ghnassia Gerhard Mayer 9 September 2004 AERONAUTICAL TELEMETRY. 1 Approximability Results for Induced Matchings in Graphs David Manlove University of Glasgow Joint work with Billy Duckworth Michele Zito Macquarie University. Reconciling trends from radiosondes and satellites (MSU4 and SSU15x) Data: LKS radiosondes (87 stations), updated to 2004 using IGRA data MSU4 and SSU15x. Section 1: Mission Overview Mission Statement Mission Requirements Mission Overview Concept of Operations Expected Results 2. 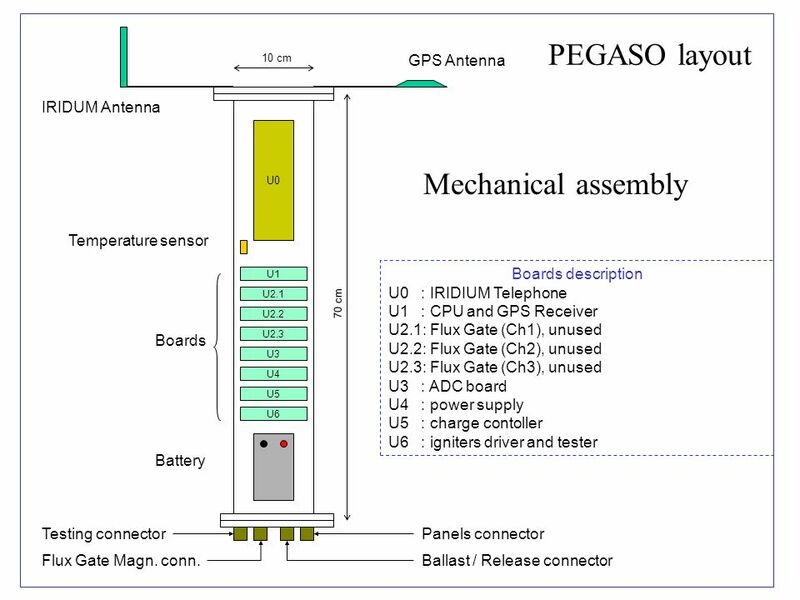 Mini-Dusty Payload AGF-218 UNIS, Longyearbyen Sveinung V. Olsen.